Greening Greenpoint participated in Jane's Walk 2018 with a free guided walk along the Greenpoint-Williamsburg waterfront led by expert Greenpoint historian Geoffrey Cobb on Saturday, May 5th. 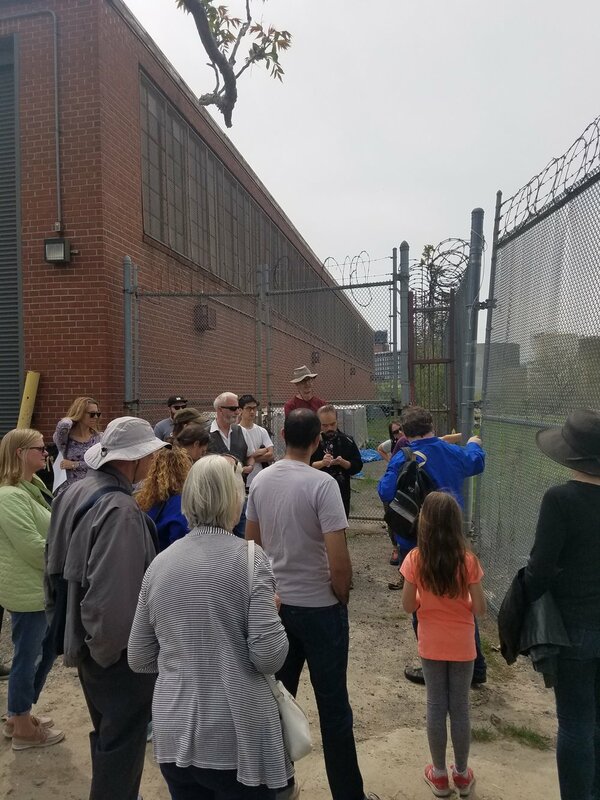 The walk was run twice for a total of 55 participants who learned about Greenpoint's history and how it has been shaped by the geography of Bushwick Creek. The walk begins at the corner of Franklin St. and Calyer St.
Franklin St. and North 15th St.